LARGE LECTURE ROOMS and 2 overflow rooms! Earn all 12 CEU to renew your CVT in one weekend! Final lecture program and schedule is currently being finalized. Details coming soon! 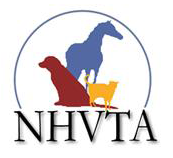 NHVTA members - check your email for a discount code for the reduced member price!